A female diplomat was tapped as Korea’s ambassador to the United Kingdom last week, becoming the country’s first female career diplomat to lead one of the major diplomatic missions abroad. 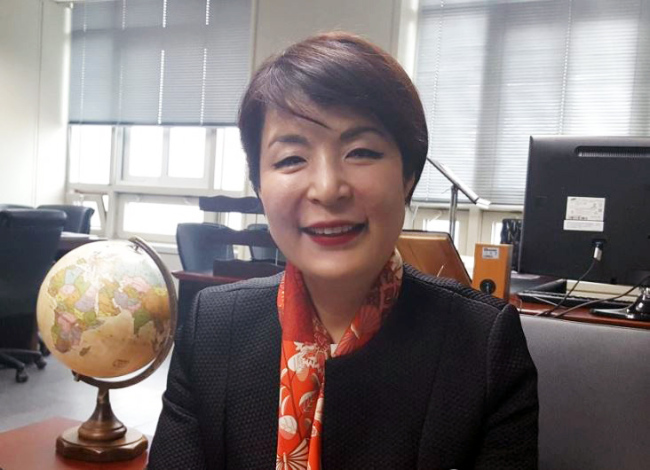 The Ministry of Foreign Affairs announced Friday that Park Enna, ambassador for public diplomacy, will take up the post as the government moves to fill more key positions with women. Park, who has specialized in multilateral and public diplomacy, will become Korea’s first female ambassador to the UK. A Yonsei University graduate, Park passed the Foreign Service exam in 1985 and became the third woman to join the Foreign Ministry. She served as minister at the Beijing embassy and was in charge of the ministry’s development and cooperation bureau from 2013-2014 after a yearslong stint at the country’s mission to the United Nations.